Go way beyond the book. Sometimes a book just isn’t enough. 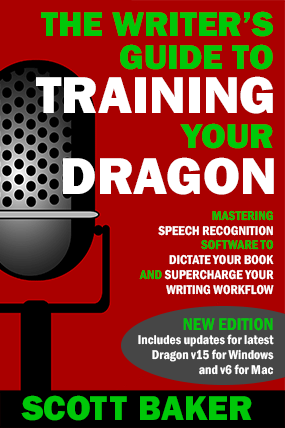 That’s why I’ve launched two courses – one for PC, one for Mac – that will enable you to embrace the power of dictation and train your brain to not just write your stories but speak them. 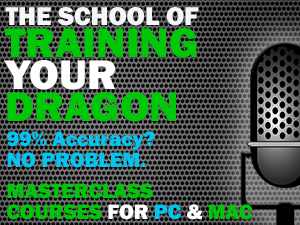 You will learn how to use Dragon software to achieve 99% accuracy from day one, maintain that level and produce up to 5000 words per day in less time and with less physical effort. You’ll learn how to not only get your hardware and software working in perfect harmony but how to transition from using the keyboard to using your voice. 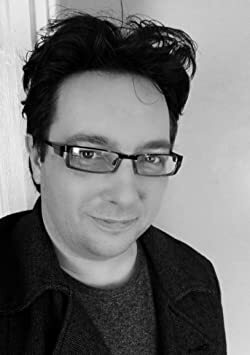 This isn’t about just changing your input method; the aim is to enable you to produce the best writing of your life by embracing the flow state dictation can create, resulting in a natural and fluid author voice. Whether you write fiction, non-fiction, books, articles or blog posts – these courses are for you! You will create more accurate copy, cleaner first drafts and completely transform your writing workflow, resulting in sky-high word counts in less time than typing. Just $297 one-off payment for lifetime access to your course. Monthly payment plans also available: take Dragon to the next level TODAY from just $50! CLICK HERE to access the course site.